The official dictionary was last updated in 2005. 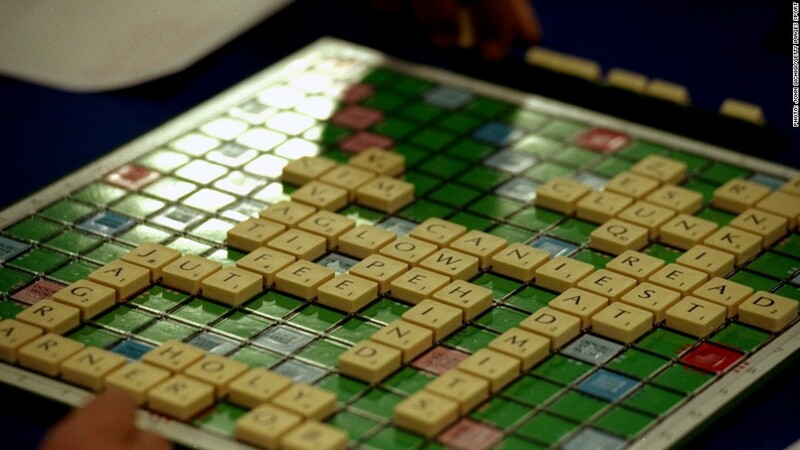 For the first time in nearly a decade, Scrabble players are going to have some new words on their boards. The fifth edition of the game's official dictionary includes 5,000 new words, according to publisher Merriam-Webster. The dictionary goes on sale Wednesday. "Hashtag" (14 points) and "selfie" (nine points) weren't around when the dictionary was last updated in 2005. "Geocache" (16 points) was selected via a social media contest. Also joining the dictionary: "emo" (five points), "bling" (eight points), "mixtape" (18 points), "beatbox" (18 points) and a handful of two letter words, like "po" (meaning "by mouth" and worth four points). The additions "go a long way toward bringing us closer to the language as it is currently spoken," said John Chew, co-president of the North American Scrabble Players Association. Other improvements include words and spellings used by Canadian and British speakers of English. The game's official fan group, which organizes tournaments and reviews updates to the dictionary, is "very excited" about the development. Chris Cree, also co-president of NASPA, said the additions "will make for more scoring opportunities and add much more to the thought process in terms of both offensive and defensive strategy." The fourth edition of the dictionary included more than 100,000 words.